New Delhi | The Supreme Court on Tuesday referred to a seven-judge Constitution bench the question whether Aligarh Muslim University was a minority institution as it would take a relook at 1967 Azeez Basha case that had held that AMU was not a minority institution as it was set up by an Act of Parliament. 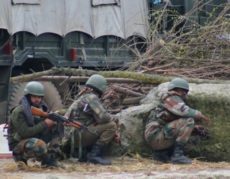 The bench of Chief Justice Ranjan Gogoi, Justice L. Nageswara Rao and Justice Sanjiv Khanna referred the matter to the seven-judge Constitution bench as senior counsel Rajeev Dhavan appearing for the AMU told it that the judgement in the Azeez Basha case was bad in law and needed a relook. The larger bench would decide on the parameters for granting the minority status to an educational institution, what a minority institution is, how it is established and how it would run. The larger bench will also decide whether a university, distinct from a college, can be treated as a minority institution. The Constitution bench will also discuss the TMA Pai judgement on a minority institution. In 1981 the question of minority institution was referred to a seven-judge bench, which in turn referred it to an 11-judge bench but the question continues to hang fire. The seven-judge bench would also look into the amendment to Minority Educational Institutions. 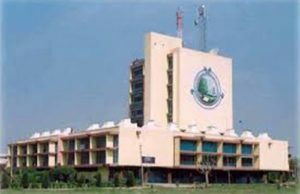 Senior counsel Rajeev Dhavan told the court that Central legislation making AMU a university was just a technicality and this could not denude the AMU of its minority character. 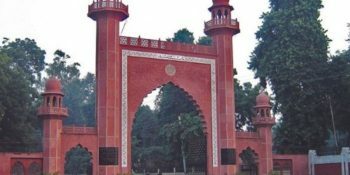 The AMU argued that it was established by Sir Syed Ahmed Khan – long before Parliament passed the law making it a university. Having said this, Dhavan said the matter needs to be sent to a larger bench instead of being heard by the current bench. Agreeing that the matter be referred to the seven-judge bench, Attorney General K.K. Venugopal suggested that they would frame the questions to be addressed by the larger bench. However, CJI Gogoi declined the request, saying that the questions have already been framed in the earlier judgement. 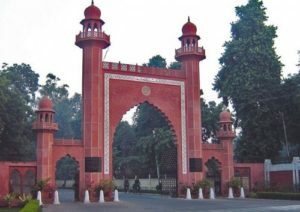 The current issue arose in the wake of an Allahabad High Court verdict holding that AMU being a Central university was not a minority institution. The United Progressive Alliance (UPA) government had moved the top court challenging the High Court verdict, but later the Modi government withdrew the UPA government’s appeal which had asserted the minority status of the AMU.